This month Directors Forum Group 2 enjoyed a lively and inspirational session from Mark Fritz on “Why you Never wash a Rental Car“. Actually, the session is all about leadership – and in particular, how to increase buy-in and ownership amongst teams. An overall score of 9.1 and strong commitments to follow-up actions indicate that the session went down a storm with the members of my peer group learning forum – if you get a chance, I recommend that you get along to one of Mark’s workshops. Trust is the foundation of an effective team, but this must be matched with visibility or results activities and outcomes. 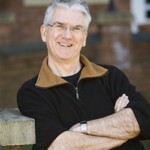 Peter Pritchett is the chairman of a number of peer group learning forums for business leaders within The Academy for Chief Executives. To find out more about this group, visit www.chiefexecutive.com/DF02. 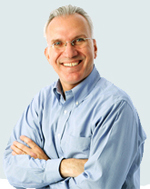 Find out more about Mark Fritz at www.markfritzonline.com, or hear more feedback from Academy Members on a previous blog, www.chiefexecutive.com/blog/questions-have-more-power-than-answers/. Good business leaders, like you, often feel very alone. Running a business is tough. Key decision making, company direction, clarity of strategy, personal development; it’s a huge responsibility and it’s entirely yours. Little wonder you’re sometimes sleepless in the small hours or struggling to answer those really big questions. Who can you turn to for totally impartial advice? The above is an example of the type of speaker session you could experience every month as a member of The Academy for Chief Executives. Find out more about our peer group learning organisation for CEOs, MDs and business leaders at www.chiefexecutive.com. Posted in: Business, CEOs, coaching, Communication, senior executives, Team Development, team motivation.